One of our most unique specialty Thai products. 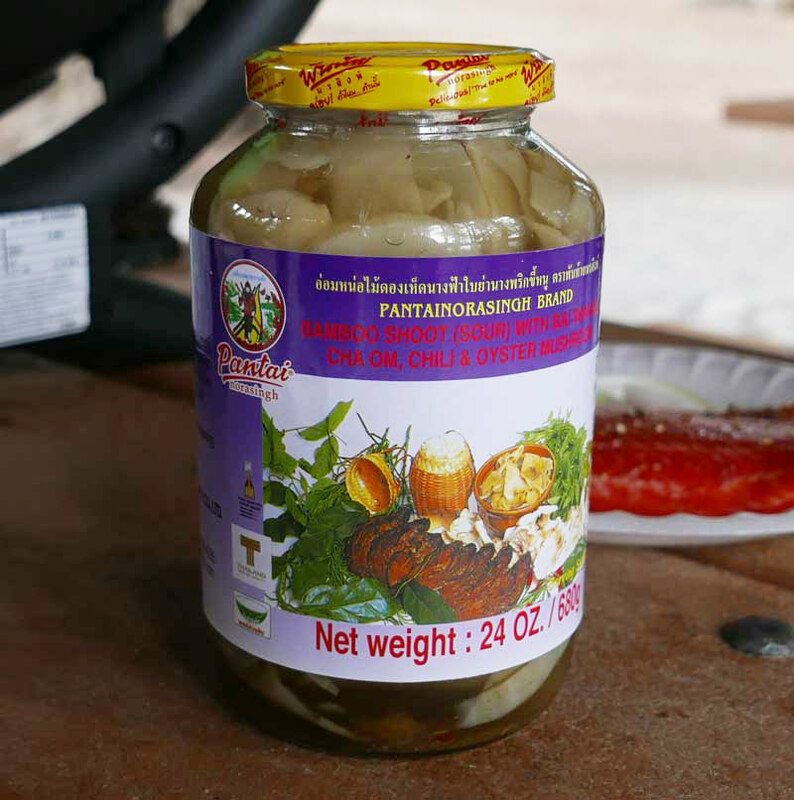 If you know a Thai or Lao person then this will certainly put a smile on their face, the smell is unique and not typically consistent with American aroma or flavor, but unmistakably Lao (or northeastern Thai). Simply empty the contents of this product into a pot and heat on the stovetop. Ingredients: bamboo shoot (sour), water, oyster mushroom, salt, bai yanang, chile, basil, cha om, fish powder, citric acid, sodium benzoate. Nice large size. Packed in a glass jar. Well-known Pantainorasingh brand.